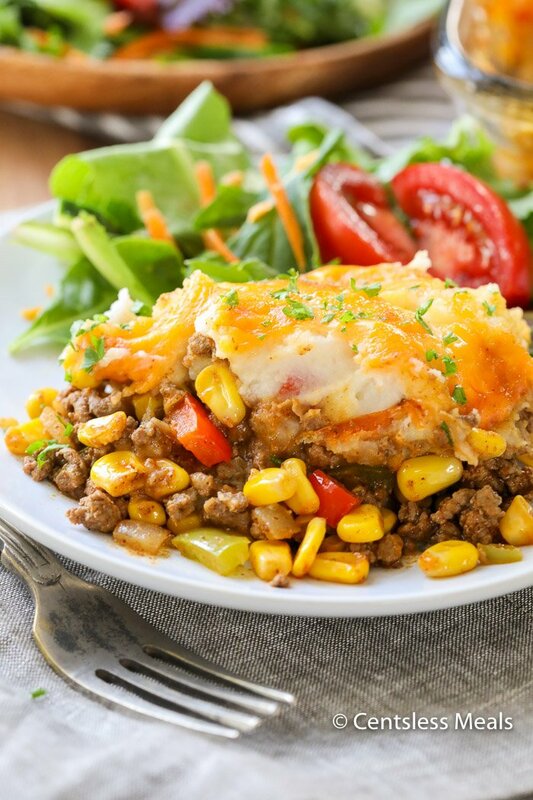 Taco Shepherds Pie takes a classic comfort food staple and puts a twist on it that the whole family will love. 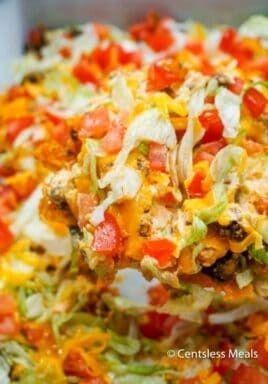 A mixture of taco meat, corn, and peppers are topped with easy and buttery mashed potatoes and cheese, then baked to golden perfection. It couldn’t get any better than that! I am so excited to partner with Bob Evans to create this reimagined family favorite recipe! 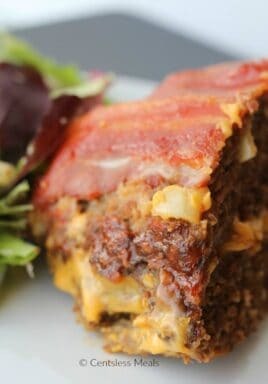 This fun twist on a classic Shepherds Pie will definitely leave everyone wondering where you came up with such a great idea. 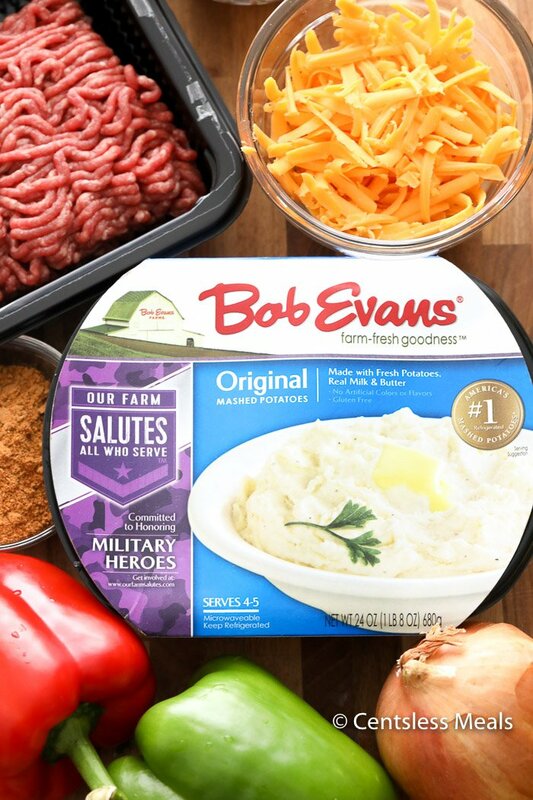 To keep things extra quick and simple, I use Bob Evans Mashed Potatoes. These buttery mashed potatoes take so much of the work out of boiling, cutting, peeling, mashing, cooling, and baking again. It cuts the time spent making any potato casserole in half! My daughter’s favorite food is tacos… so she raves about this easy dish! It’s one of those meals that she requests again and again! 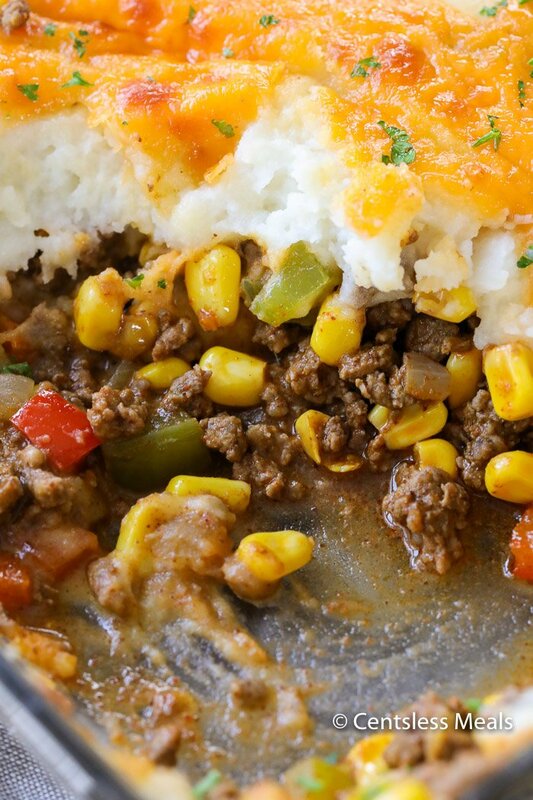 Taco shepherd’s pie is a next level thing for her, and surprisingly easy to make! Taco shepherd’s pie isn’t too different from a classic one, so these instructions are definitely helpful. Start by browning your ground beef and onion, then drain any excess fat from your pan. Then, add your taco seasoning mix, water (according to the package instructions), peppers, and corn. Cook until the peppers are tender crisp and the water has evaporated. Next, pour your taco beef mixture into a greased casserole dish. Top it with Bob Evans Mashed Potatoes and cheddar cheese. 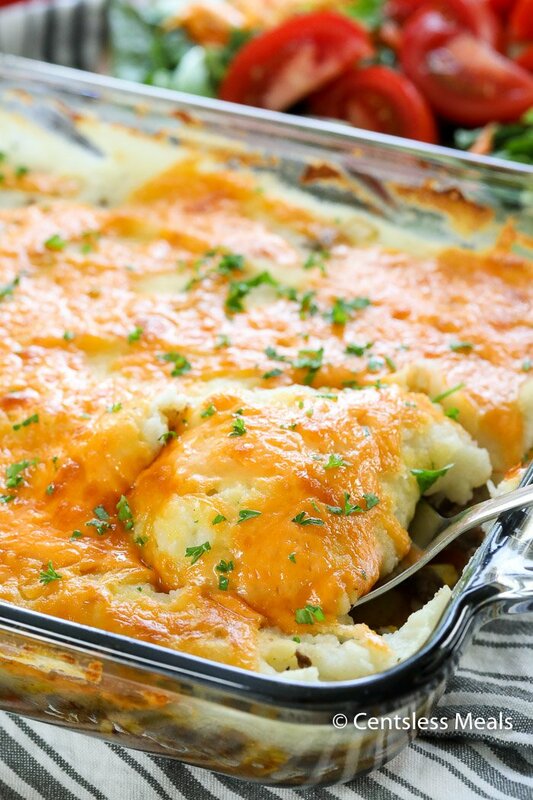 Bake your taco shepherd’s pie until heated through and cheese is bubbly. Okay, now serve it! 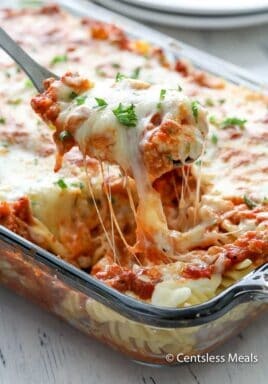 I like to serve taco shepherd’s pie alongside a fresh salad and some garlic bread, but it is most definitely a complete meal on its own! 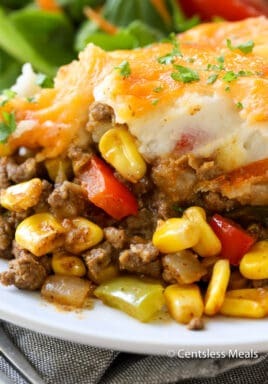 A mixture of taco meat, corn, and peppers are topped with easy and buttery mashed potatoes and cheese, then baked to golden perfection. It couldn’t get any better than that! Brown ground beef and onion. Drain any fat. Add taco seasoning, water (according to package directions), corn and peppers and cook until peppers are tender crisp. Top with mashed potatoes and cheese. Bake 350 for 30-35 minutes or until heated through. I’m allergic to sweet peppers. Could I use diced tomatoes with chilies in place and use less water? I LOVE your recipes. I have an entire folder dedicated to just your site!! Thank you so much! I haven’t tried it but think that would work Pattie. Enjoy! The description calls for peas? Is this correct? The recipe calls for peppers in lieu of peas (updated, thank you!). Enjoy Kris!